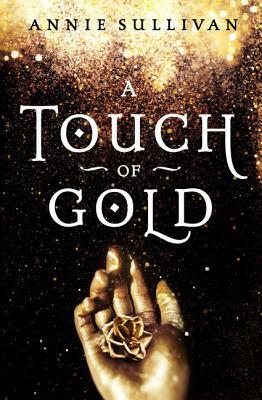 Featuring a strong female lead and plenty of enchanting twists and turns, A Touch of Gold is a captivating fantasy adventure--the untold story of the daughter King Midas turned to gold. After King Midas's gift--or curse--almost killed his daughter, he relinquished The Touch forever. Ten years later, Princess Kora still bears the consequences of her father's wish: her skin shines golden, rumors follow her everywhere she goes, and she harbors secret powers that are getting harder to hide. Kora spends her days concealed behind gloves and veils. It isn't until a charming duke arrives that Kora believes she could indeed be loved. But their courtship is disrupted when a thief steals treasures her father needs to survive. Thanks to Kora's unique ability to sense gold, only she can find the missing items. As she sails off on her quest, Kora learns that not everything is what it seems--not her companions, or the thieves, or Kora herself.